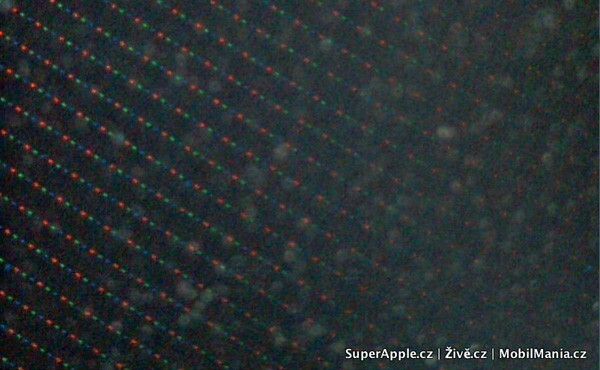 In order to confirm the resolution of the upcoming next iteration of Apple’s iPhone, superiphone.cz has put the device under microscope to figure out the display being used as well as the pixel density. You can see the zoomed-in image of the display below. The result? A 960 x 640 resolution with an IPS panel display like the iPad that we will hopefully see and learn more about when the device is unveiled during Steve Jobs’ keynote address at WWDC on June 7th. What does this mean for the iPhone? Essentially, as Engadget notes, this will quadruple the total number of pixels when compared to the iPhone 3GS, effectively making rescaling of apps much easier. The guys over at superiphone also put some other devices under the microscope including the Nexus One and iPod touch displays that you can check out at the source link below.